Come fall, the school buses in Fulton County may appear to be the same on the outside, but it is the inside that brings the change. Estimated for a fall rollout are 90 new buses that are propane fueled and equipped with 3-point seatbelts. Pushing full steam ahead, the San Diego Metropolitan Transit System (MTS) is set on a path to reach a 100% alternative fuel fixed-route fleet with compressed natural gas (CNG) and propane vehicle technology within the next five years. The momentum continues with our collective efforts to make propane school buses part of VW settlement funding. We are continuing to receive responses from our first round of letters and are working on program outlines for those dealers who submitted their paperwork. There has been a new development recently that will potentially increase the amount of funding your state will receive. On December 20, 2016, the U.S. Department of Justice and U.S. EPA announced preliminary details and released documentation relating to a second partial settlement involving 3.0 liter vehicles sold by Volkswagen and its affiliated companies. The settlement provides an additional $225 million to fund the Environmental Mitigation Trust, which is the pool of money that school bus replacements will come out of. The settlement is out for public comment right now, but once we know more we’ll make sure to update you. You can see the potential updated amount per state here. Please complete this Excel spreadsheet and email it to chelsea.uphaus@roush.com. We’re waiting on information from you, the dealer, to move on to our next phase of outreach. This is when we will be distributing program outlines like the one here. Thanks to those of you who’ve already sent it in. We’re working on your program outline and will be in touch in the next couple weeks. We’re also learning more about which states are closer to choosing their beneficiaries and which are not. We’ll be reaching out if we feel a beneficiary is close to being named in your state so that we can form a unified plan to engage with them. If you have any questions, contact Chelsea Uphaus at chelsea.uphaus@roush.com or 734.466.6710. This month, the Detroit Free Press ran an extensive article about ROUSH CleanTech in print and online. The article was picked up by dozens of other newspapers around the nation. How did we secure the story? We identified the newspaper for its ability to reach key decision-makers in the Detroit area. The Detroit Free Press is part of the Gannett media group, which owns newspapers throughout the country, including USA Today. We then pitched the story to the “right” reporter with the “right” angle. We initially outreached to the reporter in 2015, and continued to communicate with him throughout the year. After six months, we scheduled an onsite meeting for the reporter to meet with ROUSH CleanTech executives and tour our facility. Two months later the story appeared. Propane autogas vehicle sales have gone up year-over-year since 2012, including a 12,500 jump from 2014 to 2015 (Propane Education & Research Council). More than 8,500 Blue Bird school buses equipped with ROUSH CleanTech propane autogas fuel systems have been deployed across the U.S. and Canada, in more than 650 school districts. We “made the case” with the reporter that our local innovation resulted in propane vehicle adoptions locally, regionally and nationally. Once he accepted an invitation to visit us, we delivered our key messages for fleets and school buses. 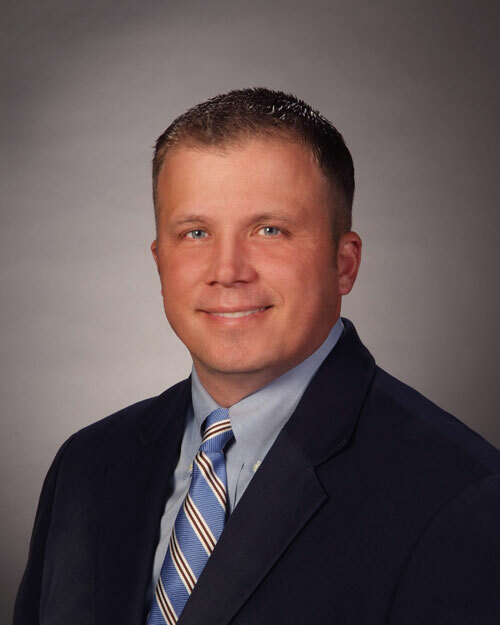 How can this help dealers sell more propane buses? Be aware of the coverage, and realize that propane school buses are part of a national trend, and that they translate to real, bottom-line benefits to school districts. Use that coverage in your own communications and presentations. For example, the Detroit Free Press article can be shared with your customers as evidence that districts across the country are adopting school buses fueled by propane. They are reaping the benefits of reduced fuel costs, reduced emissions, quieter operation, etc. The Free Press article “shows” the benefits, and is far more effective than just “telling” a customer about the benefits. Think of ways to create your own local coverage. If you help a district transition some or much of its fleet to propane buses, let us know. We can help target local media to tell that story and gain positive media coverage for you. This helps all dealers by once again proving that propane buses are a major national trend. For a copy of our school bus key messaging, please contact Chelsea Uphaus at chelsea.uphaus@roush.com. A. First, we find a lot of value in offering tours. It’s a great way for customers to see first-hand how the product is made, how the product works and why it works the way it does. Many of my customers want to put their hands on the system and see exactly how it integrates into the school bus because that’s how they better understand and become comfortable with the new fuel. We tracked an 80-percent close rate last year with our tours. Everyone who made the trip to Livonia, Michigan, left with a new appreciation and understanding for propane and the design, engineering and processes involved in developing the product. We already have two groups coming through this month in the new year. Another important tool we use for selling is demo buses. We always bring a propane or a gasoline bus demo when visiting customers because it’s a great way for districts to understand what they would be buying. It’s one thing to talk about it sitting in an office or conference room, but being able to walk around, climb under and drive the bus provides a level of comfort to the district that they’re purchasing a safe and reliable product. A. We find out what problems they have with their current buses. A lot of the districts are simply tired of the challenges that come with diesel emissions. We then push for propane because it’s a good option for districts who are fed up with the after-treatments required with diesel buses. We know there may be objections to propane, because it is a new fuel for many. If the district says no to propane, that’s when we discuss the benefits of gasoline. A. Knowledge is the key. You and your team need to know the product’s features and benefits better than anyone else. Take the training courses offered by Blue Bird and ROUSH CleanTech. Ask questions. Understand why and how the system works so that you can better sell the benefits. On top of knowing the Blue Bird product, you also need to understand your competitors’ products and where you out-pace them. I don’t suggest selling against the opposing product, but instead, go to your meeting and sell how your bus will benefit them. 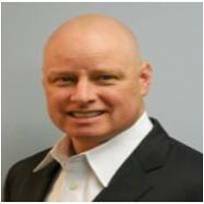 This expert knowledge helps you build confidence with the customer, which leads to sales. Now in its second year, our Tour Support Program has become a highly effective sales tool. We already have six tours booked in the first few months of 2017. 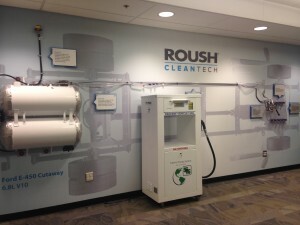 A facility tour at ROUSH CleanTech headquarters in Livonia, Michigan, is a great resource to bring customers through or to educate your employees. Depending on your goals, we can customize the tour’s content to focus on propane, CNG or gasoline school bus sales, technical service or general education. We want to provide an equal opportunity for all of the dealers, regardless of location, to visit our factory. To help cover the cost of this tour, we’ll pay a portion of your and your customer’s expenses based on where you’re coming from. Check out the map online here to determine how much we will cover, per person, for visits from your state. Morning tour of the ROUSH CleanTech manufacturing facility, product overview and service presentations. Customer attendees must be current or prospective customers who plan to purchase in the next 12 months. Whether you’ve taken this tour before with your staff or a customer, or this is your first time, you’re all sure to learn something new, and, more importantly, to close sales. To schedule a tour through our Tour Support Program, call us at 800.59.ROUSH or contact your ROUSH CleanTech rep today. Roush CleanTech – the division of Roush Enterprises focusing on alternative-fuel propulsion – expects to sell 6,000 of its liquid propane-fueled Ford engines this year, surpassing 20,000 total sales, reports the Detroit Free Press. It took the company six years to reach 14,000 unit sales – an average of around 2,300 sales per year. Tucked away in a industrial part of Livonia is ROUSH CleanTech, a division of Roush Enterprises that has been making propane buses, vans and heavy duty pickups since 2010. Today, vehicles with engines retrofitted by Roush to run on propane deliver water for Nestle Waters North America in medium-duty trucks and carry students to school throughout Michigan as well as in states as far away as Florida and Texas.